Standard mattress sizes vary from country to country, and that means that American mattress sizes will not fit a German bed frame properly. 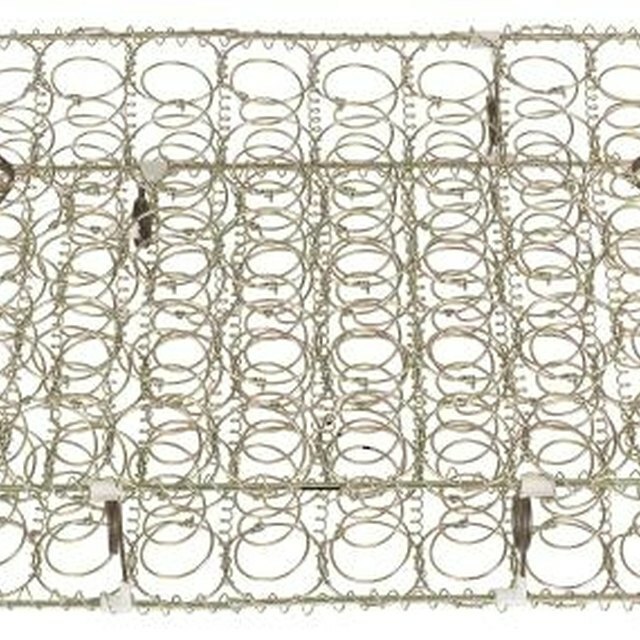 In addition, a German mattress is usually made of foam, although some have cloth-wrapped metal springs inside. Another difference is that American beds employ a box spring, but German beds use a slat system called Lattenrost in German. If you have a German bed it is important that you determine the size and other characteristics of the bed and buy a mattress from a provider that sells a mattress made for it. Standard German mattress sizes differ from standard American sizes. Remove the existing mattress and slat system and measure the length and width of your German bed frame on the inside of the side rails. Use a metric measuring tape and write down the measurements in centimeters. These measurements will be the size of mattress and slat system you need. Contact a company that sells German mattresses. Approach local mattress stores or locate one online. Two online vendors are furniturefromgermanay.com and dreamtyme.co.uk, but there are others as well. Tell the German mattress vendor the size mattress and slat system you need. Make sure the store understands that the measurements are for a German bed, not a standard American bed frame. Pay for the slats and mattress according to the vendor's procedures. When the products arrive, remove the shipping materials, place the slat system on the bed frame first and put the mattress on top. If you do not have a metric measuring tape you must convert inches to centimeters by multiplying the number of inches by 2.54. Standard German mattress sizes are (in centimeters) 90 x 200, 140 x 200, 160 x 200, and 180 x 200. If a German bed frame is very wide, it is most common to put two smaller mattresses and bed slat systems side by side on it. You should buy German-sized fitted sheets for your mattress as well since American sizes will not fit correctly. Typically Germans do not use a top sheet and blanket. They use only a comforter-like cover that is encased in a duvet. If you order a German mattress and slat system from a company outside the United States, make sure you understand if there is a currency conversion from Euros to dollars involved. The invoice may be higher than you expect because a Euro is worth more than one dollar.